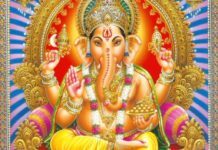 Hinduism is the world’s third most popular religion, it is the religious and cultural life of the Indian sub-continent. 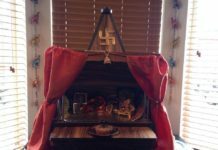 It has many rituals that have beautiful meaning behind them. Hindus worship in Temples (Mandir) and before entering temples they remove their shoes and wash there hands as shoes are considered impure according to Hindu culture. Not only in temples people forbid shoes in their homes also, either one can consider it as a mark of respect to the house and honor its cleanliness and purity. The popular reason for removing shoes is that the soles absorb impurities of the road, another reason is that shoes are made of leather which is considered impure in Hinduism as it is derived from dead animals. That is the reason why Hindus not only leave their footwear but when they sit for any pooja or any religious things they also have to remove their leather belts and wallets too if it’s of leather. Temples and other places of prayers are considered sacred, and shoes, being impure, are not allowed to be brought inside. Therefore, even non-leather shoes or slippers are not allowed in sacred places. Wooden kharaon also are prohibited. Barefootedness is a deeply-rooted pass to enter into the kingdom of divinities. Shoes are generally used to protect our toes and sole of our feet from contact with dust and all sorts of impurities in the outside world and is obvious that shoes are filled with dirt, so in order to keep a hygienic atmosphere we keep the shoes out. It is also believed that temples have a channel of energy, that is exchanged with our bodies when we are barefoot. Also, many times temple floors are covered in turmeric and sindoor, which is therapeutic, thereby enhancing our health when we step barefoot. Before stepping on the temple floor or stairs leading to temple, a devotee Hindu first touches the stairs with his head or either bowing down to touch the head or touching the hand to the floor and then touching the same hand to his forehead before putting the feet on the temple. 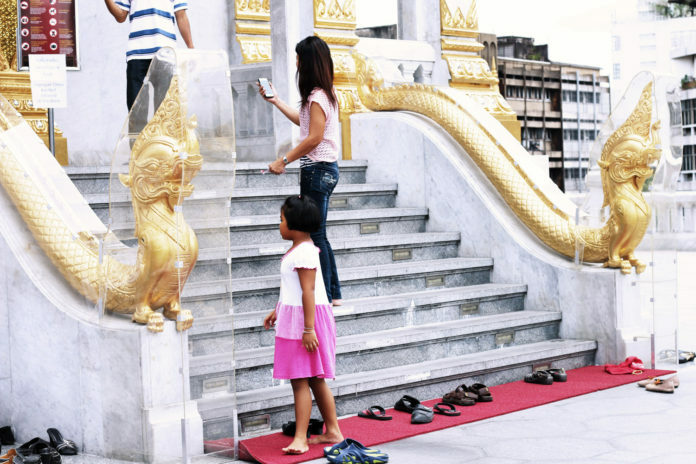 The Japanese also remove their footwear before entering any home or place of worship. The Bible quotes John the Baptist saying to Jesus Christ that he is not worthy to even tie the sandals on Jesus Christ’s feet. It is a term of respect for the Deity. Not only Hindus almost all people of all religions will remove their shoes while they pray to God.